Some especially strange and unprecedented news broke late last week: Drug company Allergan sold the patent for its medication Restasis to the St. Regis Mohawk Tribe in Upstate New York. The tribe will exclusively license the drug back to the company, saving the potentially vulnerable patent from the competition of generic drug makers. How, exactly, is this legal? While new to the pharmaceutical industry, you’re almost certainly familiar with moves where companies take advantage of indigenous sovereign immunity to bypass regulation. In this case, Allergan wants to protect its patents from generic drug company challenges. Transferring the patent to an indigenous tribe could allow Allergan to benefit from being the only player in the Restasis eye drop game until the patent’s expiration date. If moves like these become more common, they could potentially lead to increased drug prices and decreased generic competition. “Tribal economies tend to be far away from market territory... What you see is tribes in locations not doing well economically looking for some sorts of economic activity,” Matthew Fletcher, law professor and Director of the Indigenous Law and Policy Center at the Michigan State University College of Law, told Gizmodo. Businesses might use the tribal sovereign immunity, the tribe’s immunity from facing civil lawsuits, in order to bypass regulation—that’s why you often see casinos on reservations. “This is really a logical extension,” said Fletcher. 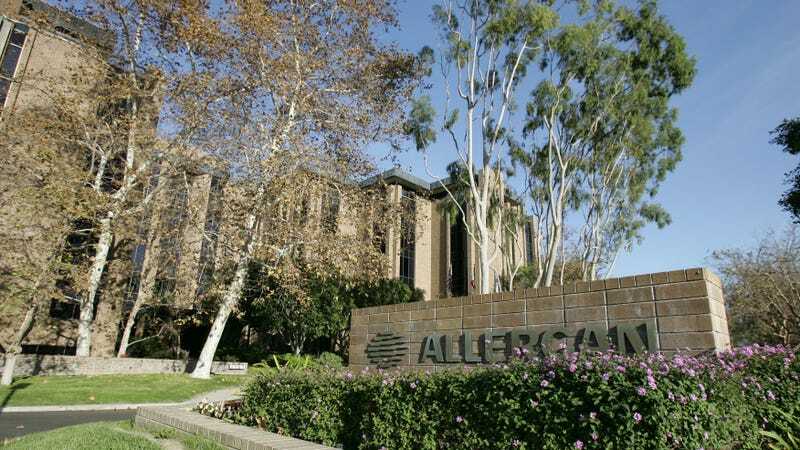 In exchange, Allergan hopes specifically to “strengthen the defense of our RESTASIS® intellectual property” through a “sophisticated opportunity,” according to a press statement quoting Bob Bailey, Allergan’s Chief Legal Officer. What this move means, though, is murky. Jacob Sherkow, associate professor of law at New York Law School, explained to Gizmodo that the whole story starts with the Hatch-Waxman Act that created the complex set of regulations for the generic pharmaceutical industry and how it deals with patents in 1984. If the name-brand drug’s patent hasn’t expired, then “in order for a generic manufacturer to enter the market to sell its generic product, it needs to either challenge the brand’s patents or certify to the FDA that there are no patents covering this particular drug.” He said the latter rarely happens. These days, generic drugmakers either ask for a review of the patent to try and end it early, or, said Sherkow, they can just bring their product to market, get sued by the name-brand drug maker, and pay damages. Mylan and Teva were pursuing option number one with Restasis, according to a commentary in Science Translational Medicine. But if the big drug company has sovereign immunity, only option number two becomes important. The patent would no longer be subject to Mylan and Teva’s attempts to overturn it once it’s transferred to the tribe. Restasis’ patent was additionally already set to expire in 2014, but was extended to 2024. Sherkow explained that the main large upfront costs to generic companies are manufacturing and filling out the appropriate paperwork... and legal fees. Challenging the big guys typically costs less than having to pay damages, he said. Essentially, if the generics have to pay much higher sums to continue selling their products, then it might drive the smaller companies out of business at the expense of larger companies like Mylan and Teva. “If you want to spin this out in an extreme version of these events, behavior like this will lead to less supply and more of an appetite for consolidation in the generic industry,” said Sherkow. It’s kind of like the airline industry—fewer options means you have to pay more for a worse product. There’s still the potential for all of this to be challenged in federal court. “There’s the possibility that a court can say this time tribe immunity doesn’t stand,” Fletcher said. FDA Commissioner Scott Gottlieb has already made it clear that he hopes to increase competition in the generics industry, and I’ve asked the FDA for comment. One commentator mentioned that this shouldn’t be looked at in a silo. “Everything is so screwed up” when it comes to intellectual property in medicine, explained journalist and FDA watchdog Charles Seife. “It’s hard to say which butterfly flapping what wings is causing what hurricane.” He felt this had the potential to be a big deal but it depended on whether other drug companies followed the lead.